Shop everything from women's apparel, shoes, and jewelry to baby gifts and home decor at Six Sisters Boutique! As a buyer and a sister, I've made it a point to have something for everyone. With a family of women ranging from 17 years old to a mom in her 50s (sorry momma!) helping put their opinion out there for our inventory selection, we hope that every woman can feel great in Six Sisters style! Whether shopping in-store or online, be sure to call, comment and always ask for help when finding that perfect outfit or gift. With over 20 years of experience playing dress-up, keeping it real, and being honest with my sisters and almost 10 years in retail, we love to help find you something you will look good and feel good while wearing! Shop small and look good while doing it! Cheers ladies!! My style love language is all about cozy, soft and comfy things. This boutique has all of these things and then some. It’s locally owned, operated and the first of its kind in NuLu. 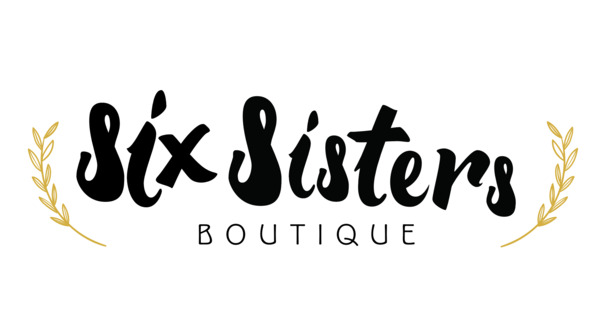 Six Sisters Boutique... Oh what a story...First off, the name comes from the most awesome family ever! As one of six sisters born and raised in Louisville, KY by two amazing parents, I've become the woman I am today because of my five sisters. The store reflects our personalities, our city and of course our fashion and style. After 7 years in the wonderful world of women's small business retail and fashion apparel, it was time to venture out on my own and get back to my city roots. 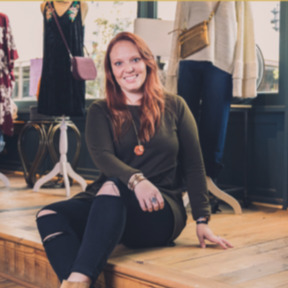 Growing up in Crescent Hill and now living on Phoenix Hill, and staying true to all things local it was only natural that I bring my women's boutique to my neighborhood. Myself, along with the input of my five sisters and mother, cannot wait to bring great fashion, accessories and fun gifts to the city of Louisville and create a shopping experience that NULU has truly been missing. I hope you find yourself feeling at home both in Six Sisters and throughout the NULU area. Everyone here at Six Sisters can't wait to show both locals and visitors alike how much fun shopping truly can be. Cheers to shopping local in Louisville!! Next time your in Louisville make sure to stop in and say hi! Enjoy all things bourbon, horses and great fashion in the city where anything is possible!